The little light in top of the tower was kindled after ten years break. The traditional purpose for light is to strengthen people’s communality with church and each other. 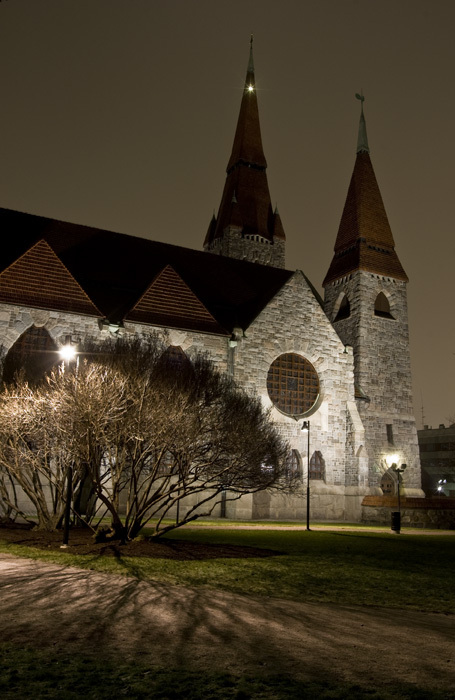 This entry was posted in Risto's photos and tagged church, night, tampere.